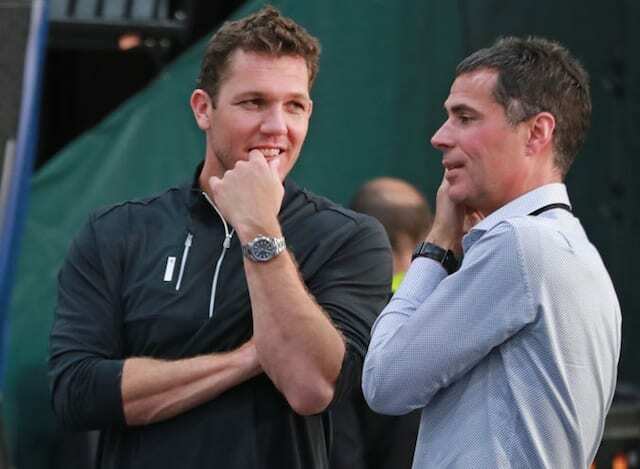 Three days after the 2018-19 NBA season ended, the Los Angeles Lakers announced they mutually parted ways with head coach Luke Walton after three seasons. While it was not a surprising announcement, president of basketball operations Magic Johnson’s sudden resignation could have possibly changed Walton’s future with the Lakers. As former Cleveland Cavaliers head coach Tyronn Lue and former New Orleans Pelicans head coach Monty Williams are reportedly frontrunners for the team’s head coaching job now, the Sacramento Kings quickly requested an interview with Walton after firing head coach Dave Joerger. The Lakers announced Friday afternoon that the team and Walton had “mutually agreed to part ways.” But make no mistake, no matter what the media release said: Walton was fired. Whether it is fair or not, NBA head coaches are usually the scapegoats in these types of situations and Walton was no different. Despite all of the injuries and Anthony Davis trade rumors, it became evident early on in Year 1 of LeBron James and the young core that Walton was not in their long-term plans. Although Walton was reportedly fired, it appears he will quickly land another head coaching job since he has already been linked to some teams. While Walton was expected to grow with the young core three seasons ago, the expectations changed when James signed in free agency.